Will Turkish - American Relations Have a Brighter Future After the Elections? WASHINGTON, Nov. 9, 2015 /PRNewswire-USNewswire/ -- Turkish Heritage Organization (THO), a Washington based, young non-profit organization that strives to foster a deep and comprehensive dialogue between Turkey and the U.S., held a teleconference to discuss the potential outcomes of Turkey's election results on Turkish – American relations. 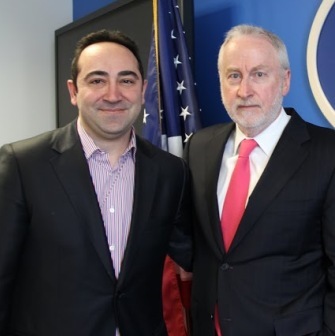 THO Advisory Board Member and Secretary-General of the EU Turkey Civic Commission (EUTCC), Dr. Michael Gunter and German Marshall Fund Senior Fellow Dr. Joshua Walker analyzed the future of Turkish – American relations. Turkish Americans on Thursday asked President Barack Obama to help in Turkey's struggle to meet regional challenges and expressed concern for U.S. support for a Syrian branch of a designated terror group. The letter comes days before Obama's visit to Turkey to attend a G-20 summit. 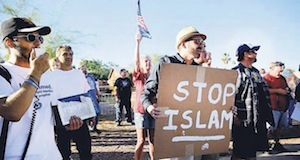 A group of masked assailants attacked a mosque in Massachusetts on Wednesday. According to an official and community leader, several windows were broken and no one was injured. The attack took place in the city of West Springfield at around 8:15 p.m. local time (00:15 GMT) at the Ahiska Turkish American Cultural Center and Mosque. According to Yaşar Çolak, the religious affairs counselor at Turkey's embassy in Washington, D.C., five unidentified masked men arrived at the scene and began hurling stones at the buildings. 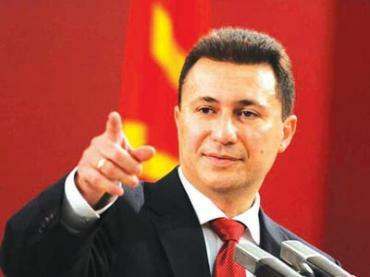 New York merkezli Türk Amerikan Liderler Konseyi, Makedonya'da son dönemde Makedonya Başbakanı Nikola Gruevski'ye karşı yapılan karalamalara tepki gösterdi. TALC Başkanı Ali Çınar'ın imzası ile yapılan basın açıklamasında Makedon Hükümeti'nin Türkiye ile çok yakın ilişkide olduğu ve birçok Türk firmasının yakın olarak çalışıldığı hatırlatıldı. Devletlerarası ilişkiler dışında iki halk arasında yakın bir ortaklığın ve paylaşımın olduğu vurgulandı. NYC MUNICIPAL ID is Available Now! 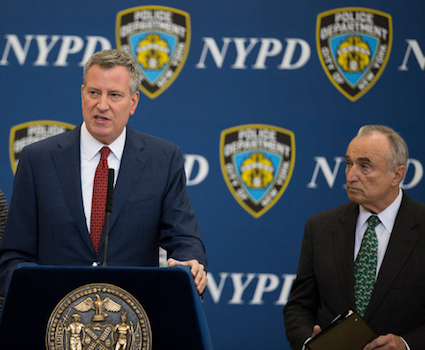 Ali Cinar-New York- (January 15th-2015) - New York City Mayor Bill de Blasio has launched an ID program that will give the city's estimated half million undocumented migrants an opportunity to open bank accounts and access other services that may have been denied to them before. 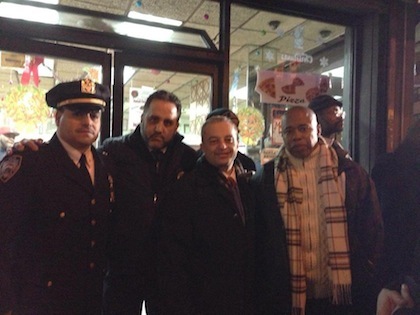 By Ali Cinar, Brooklyn, (January 9th-2015) - NYPD Officers in Brooklyn had a visit to Eyup Sultan Cultural and Mosque Center. Former President of Eyup Sultan and NYPD Clergy Liason Kenan Taskent made a short presentation about the organization during visit. 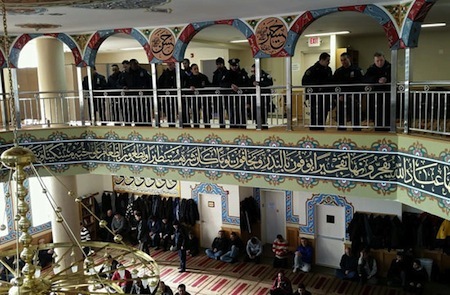 Since there is a big Islamophobia issue raising globally, it was a very important visit for NYPD Officers to know their neighbor moslem organization in Brooklyn. Berlin, 18 December, – As Syria’s war heads towards a fifth year, the United Nations and partners today launched a major new humanitarian and development appeal, requesting over US$8.4 billion in funds to help nearly 18 million people in Syria and across the region in 2015. The appeal includes two main elements: support for over 12 million displaced and conflict-affected people inside Syria, and addressing the needs of the millions of Syrian refugees in the region and the countries and communities hosting them. Ali Cinar- New York (20 Şubat 2014) Amerika Birleşik Devletlerinde başlayan sosyal medya girişimleri tüm dünyaya yansımış hem insan hayatı hem de ülkelerin kaderini bile belirleyici faktörlerden bile olmuştur. Amerikada 2004 yılında kurulan Facebook’a baktığımız zaman kullanıcı sayısı 1.23 milyar , yine keza 2006 yılında kurulan Twitter baktığımız zaman kullanıcı sayısı 200 milyonnun üzerinde. DAYTON -- Democratic candidate for governor Ed FitzGerald visited the Ahiska Turkish American Community Center on Wednesday to talk about the stakes in the 2014 election. 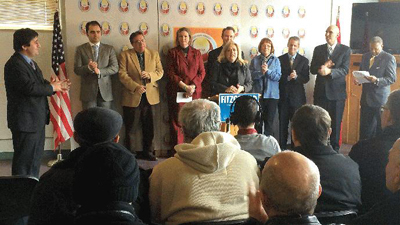 New Dayton Mayor Nan Whaley and other Dayton area political leaders joined FitzGerald at the event, which is campaign called the first in a series of events focused on putting Ohio's middle class first. We were at the event and will bring you more from FitzGerald's visit tonight at 6 on ABC 22 News and at 6:30 on FOX 45 News. 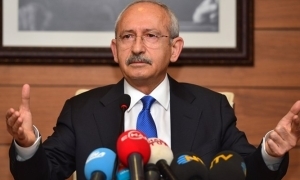 Chairman of Turkey's Republican People's Party (CHP) Kemal Kilicdaroglu continued his Washington talks on Tuesday, as part of his first visit to the US as the chairman of Turkey's main opposition party. Kilicdaroglu came together with the US House of Representatives Majority Leader Congressman Eric Cantor, a meeting in which the Chairman of the House Committee on Foreign Affairs Ed Royce, CHP Deputy Chairmen Faruk Logoglu and Sezgin Tanrikulu were also present. 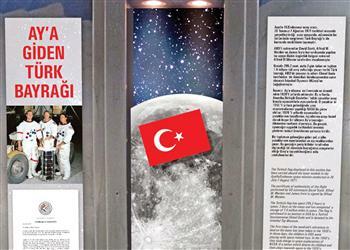 TCA commemorated the 90th Anniversary of Turkish Republic Day on October 29. On this day in 1923, the newly recognized Turkish parliament proclaimed the establishment of the Republic of Turkey and Mustafa Kemal Ataturk, who led the Turkish National War of Liberation, was unanimously elected as its first president. This year, as the 90th Anniversary of Turkish Republic Day is being celebrated, we express our sincere appreciation to the various organizations and friends of the Turkish-American community who delivered congratulatory messages marking this important milestone. Several US-based Muslim NGOs sent a letter to Turkish PM Erdogan, expressing gratitude for his support to refugees across the world. Muslims living in the US sent a “thank-you letter” to Turkish Prime Minister Recep Tayyip Erdogan for his support and help to refugees all around the world. The letter by “Muslim Americans and Friends of Turkey” was delivered to Namik Tan, Turkey’s ambassador in Washington.